Last night we had a spectacular sunset with the sky looking like molten lava. 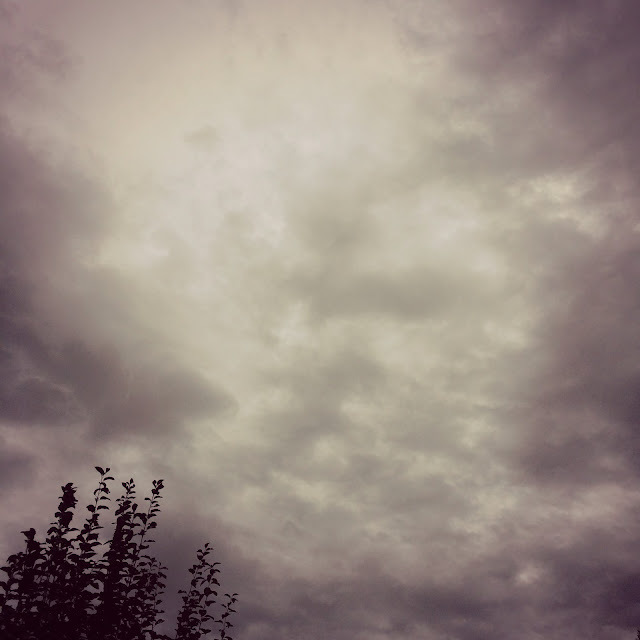 This morning, I can't tell you how excited I am that it is cloudy....and I'm wearing a sweater! At the weekend it was still in the mid 90's but today it is definitely Fall. Finally I can legitimately think about pumpkins and pretty leaves! 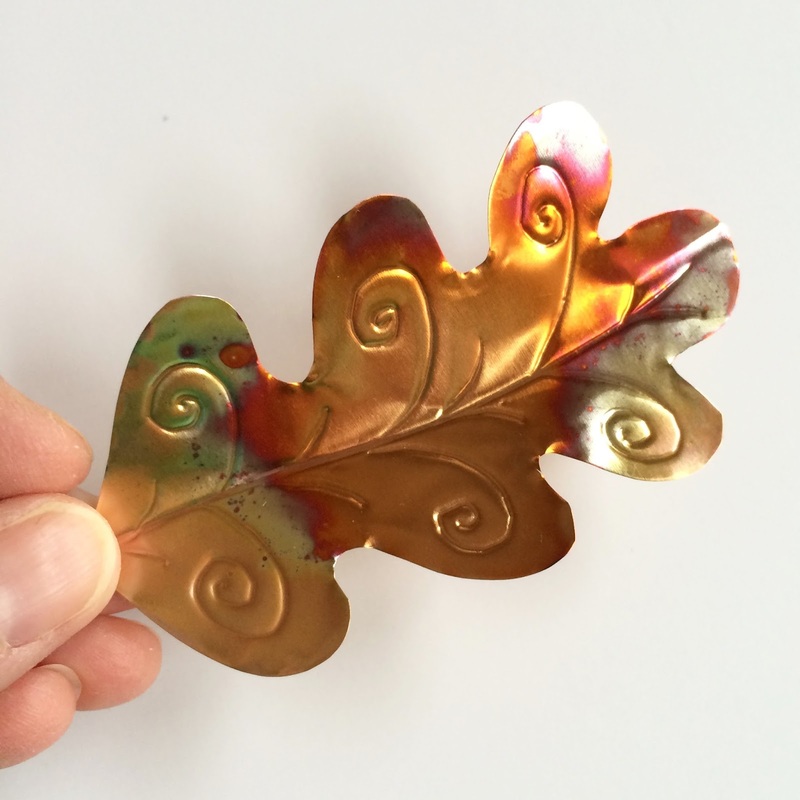 This morning I've been making some copper leaves for a small garland to decorate a frame I bought at our local Hobby Lobby store. 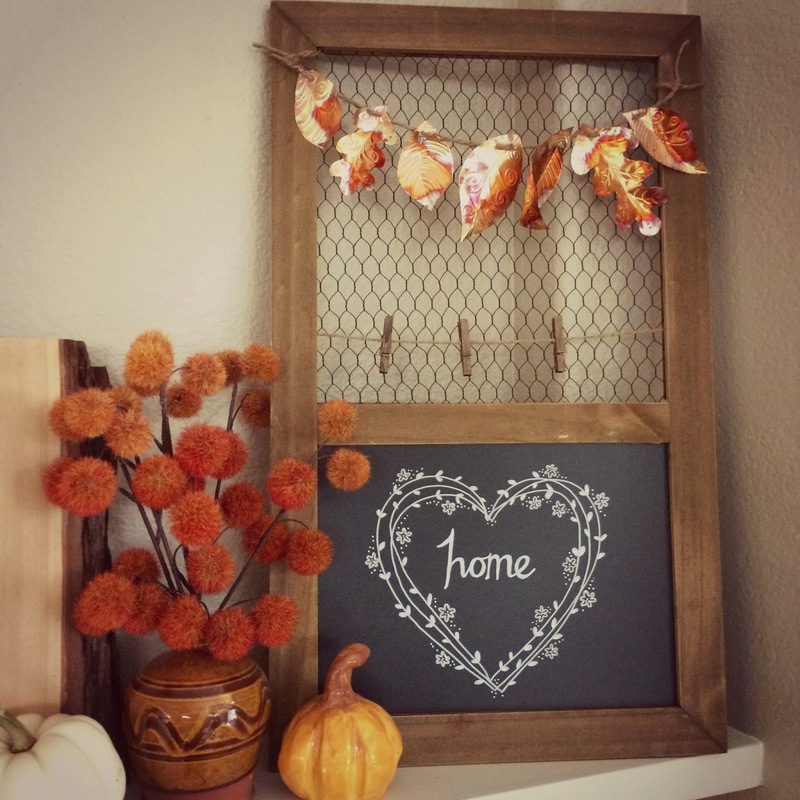 The frame is half chalkboard and half chicken wire and it is destined for the mantel in the living room. I've worked with this copper sheet before and I love how it looks. 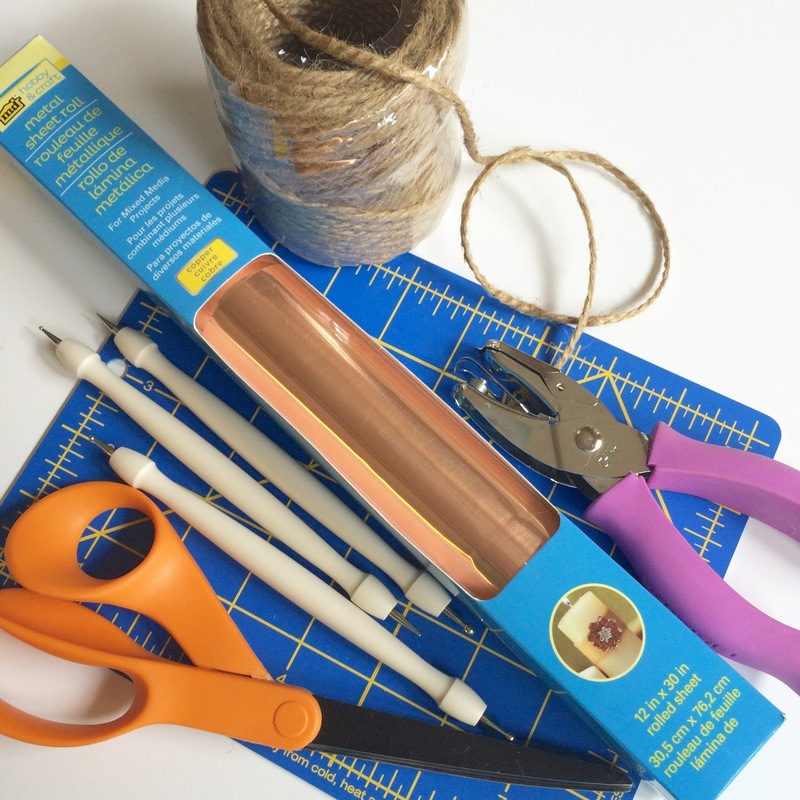 The copper cuts easily with regular scissors. The cut edges are sharp though, so if you try this be careful. I got the copper in my local Michael's and they sold gloves next to it but I like to live dangerously! Use a cutting mat to protect your surface. Carefully remove the copper from the box and un roll it. Cut out as many freehand leaf shapes as you need. 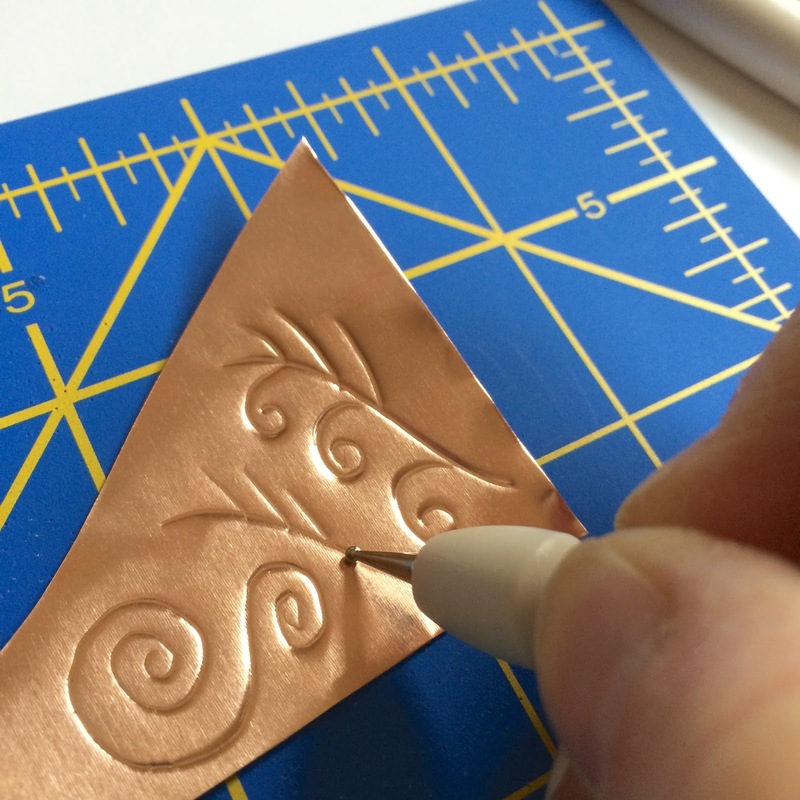 Using the embossing tools below (Martha Stewart, also from Michaels or you can use a blunt pencil) practice making marks on some scrap copper. 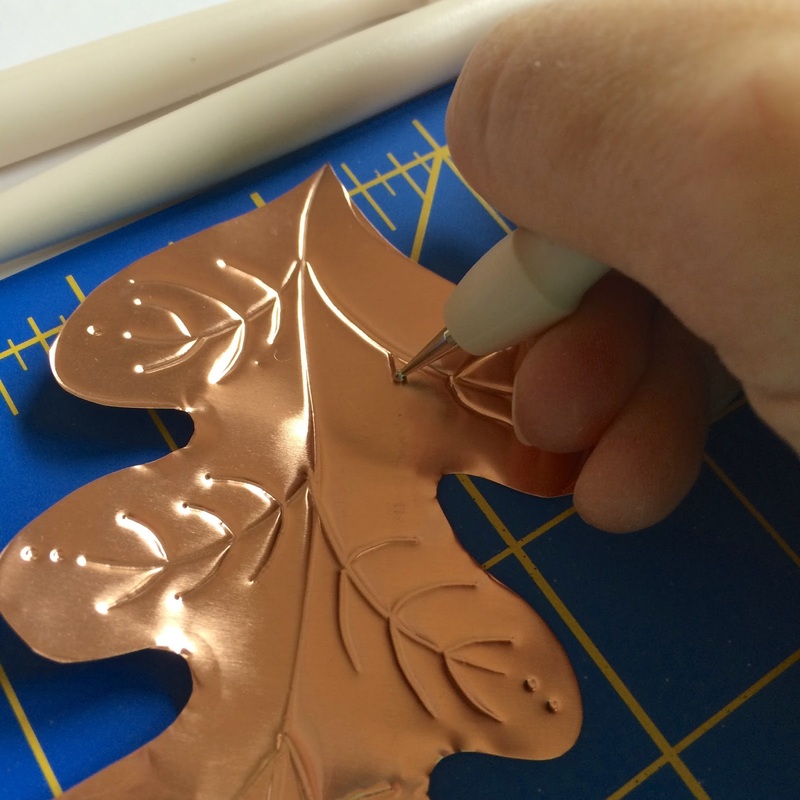 You'll find the copper is pretty easy to work with. I press quite firmly to get a fairly deep line but you have to experiment. Remember to use a mat to protect your table. Once all your leaves are cut and embossed with their patterns, take them over to your gas stove and turn on a large burner. Using tongs, dip the leaves in and out of the flame and watch as the magic happens. 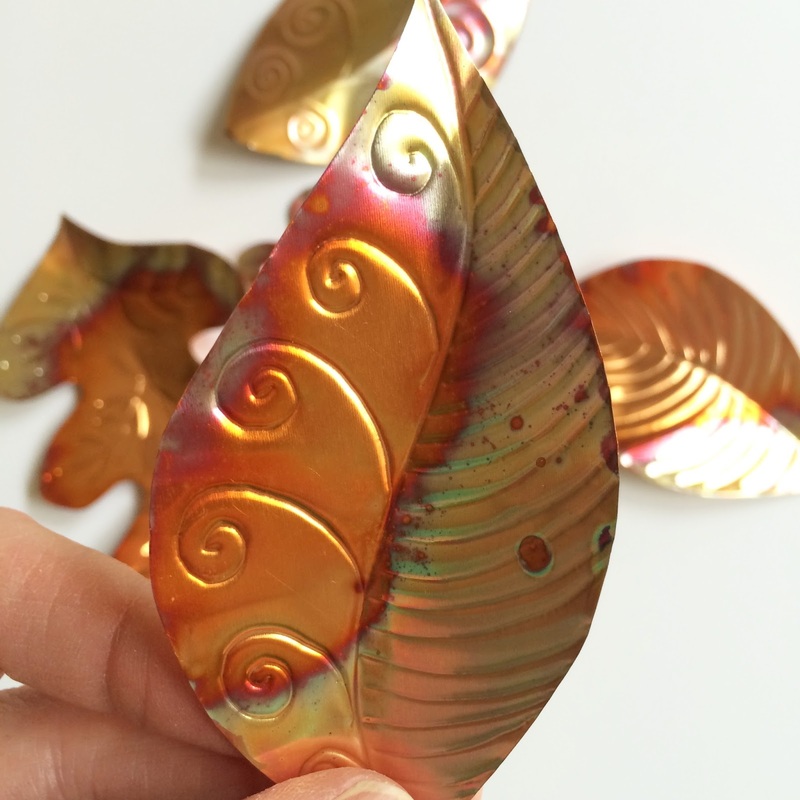 The copper will change color. Do it slowly and cautiously and don't leave the copper in the flame. 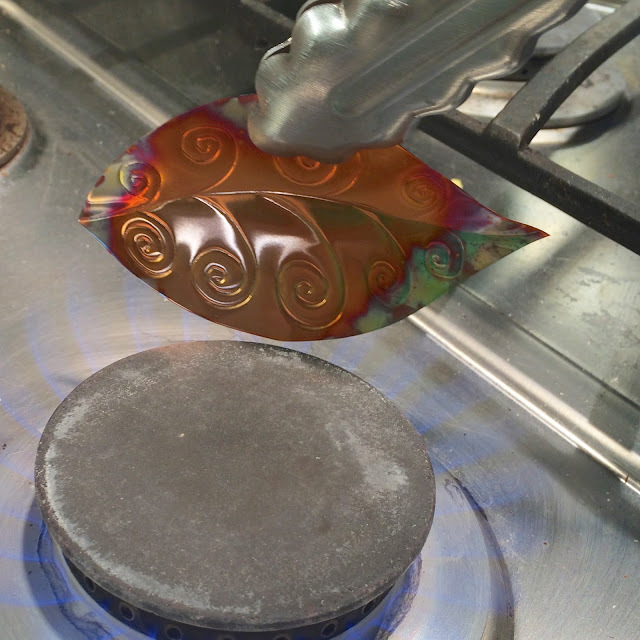 Practicing on some scrap copper is a good idea to get a feel for how many times to put it into the flame. Leave the leaves on a heat proof counter to cool before touching them - yes really, go check email or something - you don't want to burn yourself. Aren't they lovely? The range of colors is so pretty. 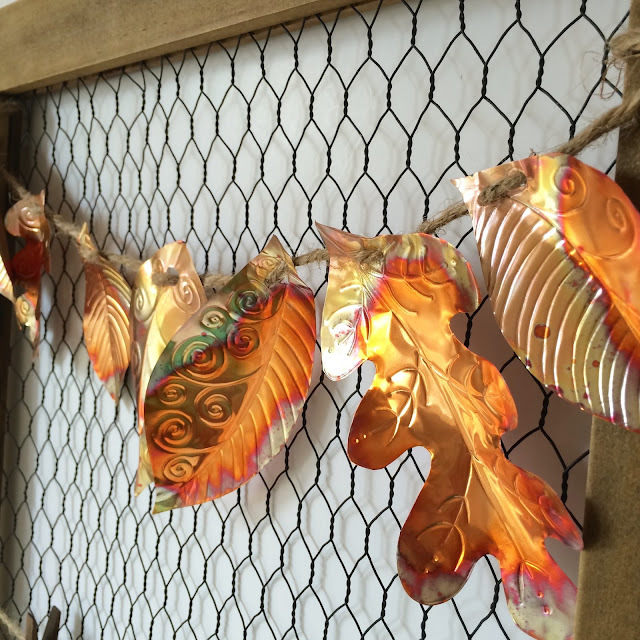 My goal was to make these leaves into a garland strung with rustic twine so I used a small hole punch (the copper punches easily) and made two holes in the end of each leaf. The twine was threaded through those holes and tied to the frame. I wound some tape around the end of the twine to prevent it from fraying when threading it. Using two holes in each leaf gives you more control over how the leaves hang. When the garland is complete you can gently curl and manipulate the leaves to make them hang exactly how you'd like them. On the chalkboard portion of the frame, I drew some loose hearts with little leaves and flowers and then wrote "home" in the center. Pinterest is a great place to look for chalkboard inspiration but I had an image in my head of what I wanted. As you can see below, I simply tied the twine to the frame.